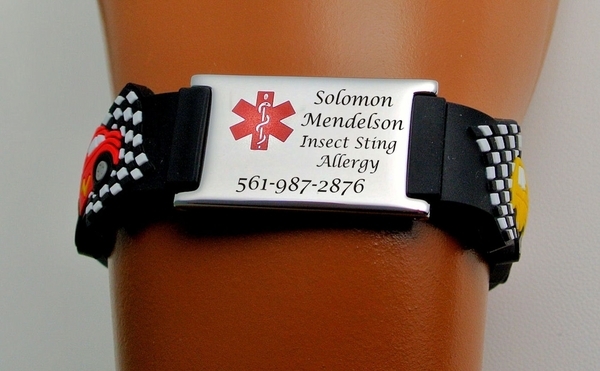 Personalized Kids Medical ID Bracelet With a Cars Design for Boys. The Wrist ID perfect for Kids. If your child is ever lost or in an accident, your emergency contact information is immediately available to teachers or first aid personal .